Evil Within sequel in the works? The job listing in question is for a UK bug report translator for Psycho Break 2. 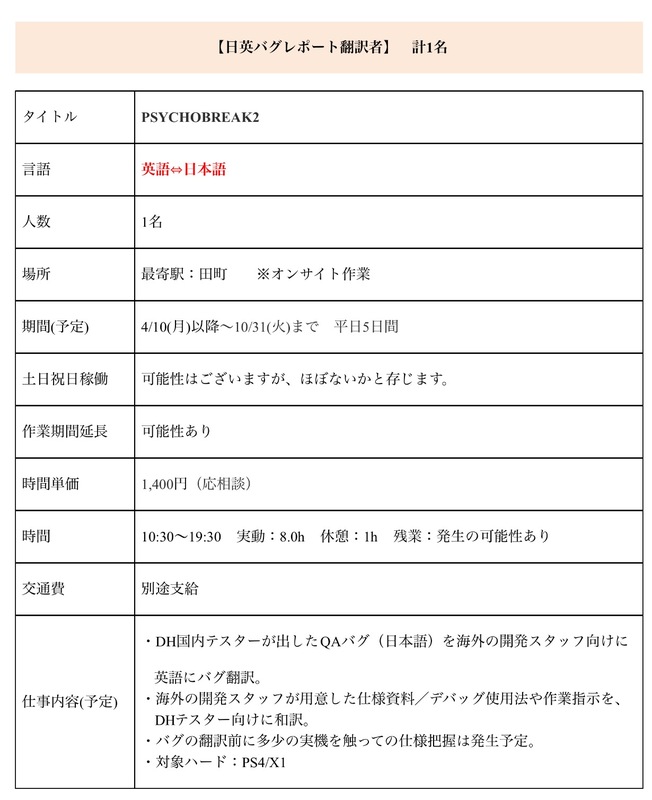 Psycho Break was the title that The Evil Within went by in Japan. Tango The Evil Within - HELLO, I AM HERE FOR THE TRANSLATOR POSITION! There is no official confirmation from Bethesda or Tango Gameworks yet, but we should know more by E3 2017.